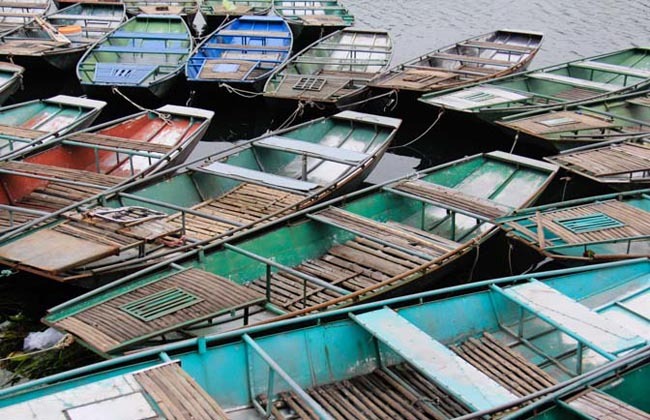 Hoa Lu was the capital city of Vietnam under the Dinh Dynasty between 968 and 1009. Some of the sanctuaries and tombs have survived the years and can still be seen today. 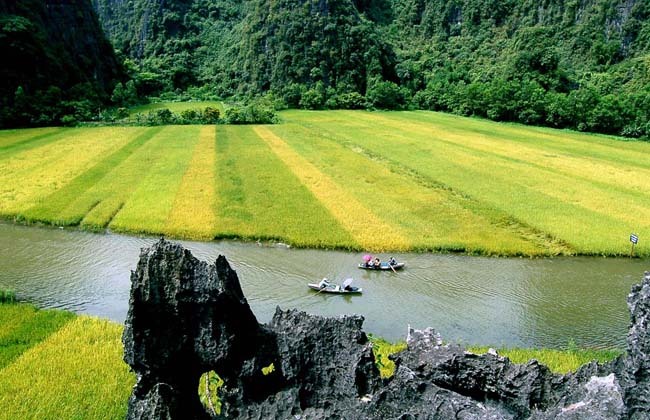 Apart from the historical interest, the river trip in Tam Coc is wonderful for photo hunters, especially when local people come to harvest the water rice planted along the river, or when they transplant some seedling for the next crops. 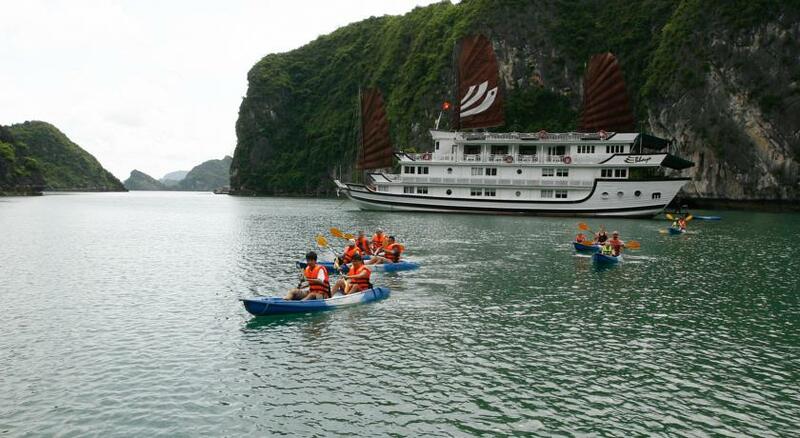 This also known as Halong-Bay-On-Land. Visit Hoa Lu ancient royal capital with temple of King Dinh and King Le, admire the unique architecture from ancient times. 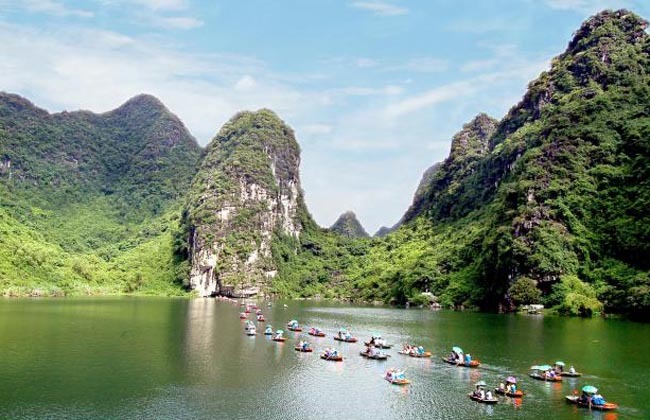 8:00AM, pick up at your hotel and head out for Hoa Lu – Tam Coc in Ninh Binh (2 hours driving). There is a beautiful roadside scenery on the way. 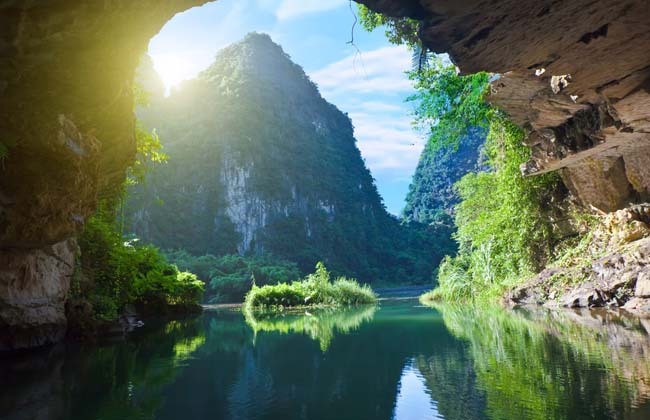 Arriving in Ninh Binh city, first pay a visit to Hoa Lu – the ancient Royal Capital of Vietnam, learn about history and culture of ancient Vietnamese. 11.30 Continue to Tam Coc and have lunch at a nice restaurant, sample local delicacies with goat meat and fried rice. Optional: Your choice for a short biking trip around the countryside of this beautiful area. 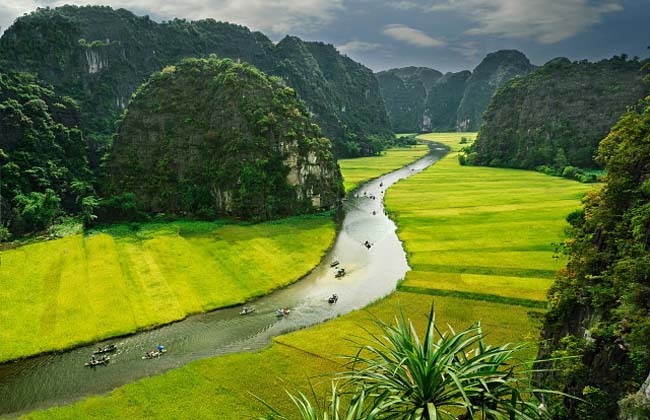 Optional: Additional for short biking trip in Tam Coc: $3/person.